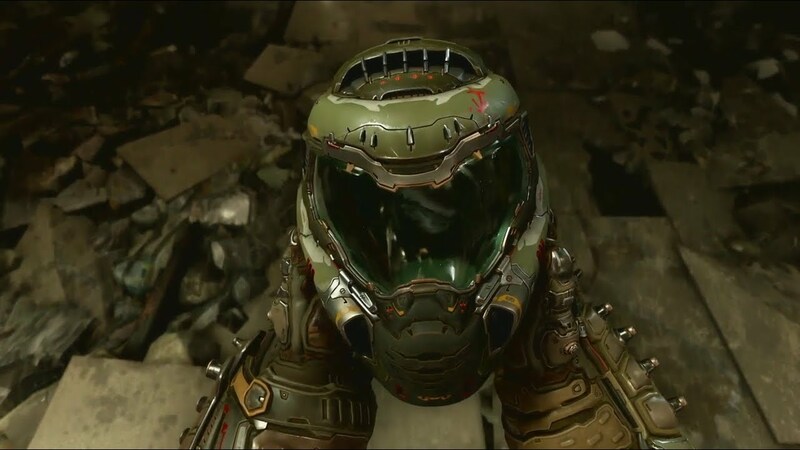 In Doom Eternal, the Doomslayer has returned and been a hundred times more powerful. That is the message Id Software wants to convey through its recently published information series. Doom guy re-exported. He does not need to introduce, because everyone knows about him. He did not ask, nor did he need permission, simply taking what he needed. 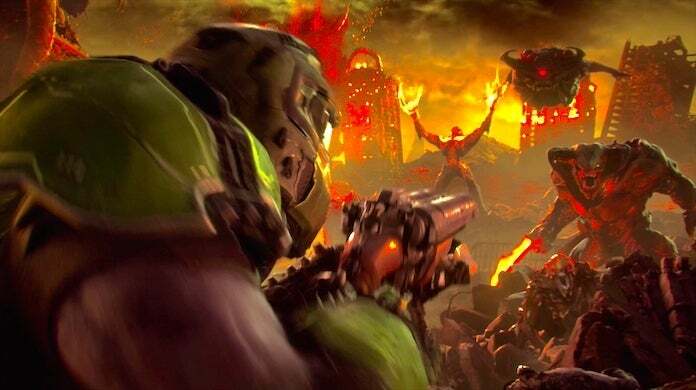 Doomslayer, the devil’s nightmare returned in Doom Eternal, against Mick Gordon’s wrathful rock songs. But he not only returned but was also upgraded with new “toys”, promising more impressive performances and more gore – good news for us, and bad news with evil demons Street. What does he have in Doom Eternal? It is a versatile gun mounted on the shoulder, a scary knife in the left hand, and the Crucible sword has appeared in the 2016 version of the game. Called by Software, Slayer 2.0, the Doomslayer armor adds a new feature that allows him to dash in the air or climb on the wall, providing unprecedented flexibility in another Doom version. And yet, a series of new weapons also find their way to Doomslayer, for example the Balista can pierce the target with an explosive arrow. Old guns have also been upgraded, for example, the new Plasma has more powerful destructive power and Machine Gun can fire destructive bullets. BFG 10000 that ‘s a more “genuine” version of BFG 9000 also appears, but Doomslayer may not be able to carry it with him. New weapons and new skills come together to allow Doomslayer to show exciting fighting scenes, pushing the already fierce battles in 2016 to a great new level of hysteria. Meanwhile, the demons also found new ways to deal with Doomslayer. Hellknight put up two more fiery blades, Mancubus looked more violent and evil. The evil forces also call back some old-style Pain Elemental, Archvile or Arachnotron. And yet, there are new enemies who are very confident in their dominance of Marauder when imitating Doomslayer with a familiar double-shot shotgun, while another claims to be Doom Hunter. In the video game, ‘easy‘ is a somewhat hard to hear word, even if it must be. Something about the word ‘easy’ makes some gamers feel like they are being condemned. Something that we should forget – unless that’s when we shouldn’t. A game that, when it is debuted, began a familiar debate: Should it be an ‘easy’ mode? A FromSoftware game has become something to tell when you break them and join the club who have made that feat. In addition, Sekiro abandons the mechanism of summoning other players to help you as in Souls. So, talking about Sekiro is about you, about what you have done to overcome the challenges that the game offers and why you have a place in the community who broke Sekiro Island. For some people, difficulty is the basic factor that makes up a FromSoftware experience. It creates every aspect of the company’s design criteria. Minimal storytelling style, communicating much through obscure descriptions of items and signs scattered in a better operating environment when you are forced to run back and forth in the level. The plot of these games often carries a theme related to death and the loss of humanity. Failure allows you to understand the story that has just joined it, completing the loop set out at the beginning. In Sekiro, these ideas are focused in a strange way in terms of FromSoftware; dying and resurrecting between battles is a mechanism you can interact with, and the plot of the game does not hesitate to say the price to pay for the death sentence. This creates a solid argument that Sekiro must be hard, because high difficulty is the focus of the whole game. There are lots of ways for video games to change elements to become more difficult or easier, and many developers have done this without compromising on the quality of the product. One of the things that both developers and gamers understand is Halo’s Heroic difficulty is how the studio wants the game to be played. ‘Easy’ and ‘normal’ are still there to welcome players who need them, and even these two difficulty levels require less than you but you can still get the plot that the game wants to convey. . There are many games that allow players to participate in speed races. What about becoming a person behind managing those racetracks? Almost every racing game today has a simple task, which is to become the first car to finish the first place. But in professional racing events such as F1 Formula Racing, becoming a champion is not as simple as simply launching the net as you think. Motorsport Manager game will let players understand that. Become a manager of a professional Formula 1 racing team, you will first be given your name, team name, color picker and logo. Done the lightest part, a management interface that looks relatively complicated will show players need to be patient to get used to it. At the top is the amount of money you have in the bank and the monthly earnings, which are two important factors like blood in the game, so don’t let these numbers go back to negative or your game will be finish. You can make money from participating in racing and finding new sponsors. As for the management part, like other management game genres, it would be quite troublesome for the reader to tell it all. So can summarize on 3 main issues as follows so that players are not lost when they first play. The first is human resource management, you will have 2 main drivers and some reserve drivers, along with a team of technicians to repair and upgrade your car. Everyone has an index for their specialty, along with their monthly salary, you can agree on the price and time of the contract. The best humanity will raise the highest team score but at the same time it will cost a lot of money, so you need to make the right choice. In addition, there are 2 more factors: sponsors’ relationship and number of fans, if you interact well, you will get a good amount of money from these 2 sources. It is Introduced in detail at the 2017 E3 event last week, developer Konami made fans of the exciting Pro Evolution Soccer series with important feature updates in this year’s version. The most important change, as usual, involves the center of every match – the round ball. Specifically, these are improvements so that players can control the ball more closely and honestly. It is one of the features that has always been renewed and perfected over the years, but it does not always work well in every version. With PES 2018 game, players can expect more when this change is combined with physical improvements and the ability to interact with characters. That is evident in how the ball bounces off the chest or bounces off the player’s body with a realistic and predictable feeling. When a shot is made, the ball hits the goalkeeper who will bounce at a reasonable angle, like in real life, not completely unexpected and unexpected. Other players when the player is not in control is no longer the ball on the field, when it can be “smart”. 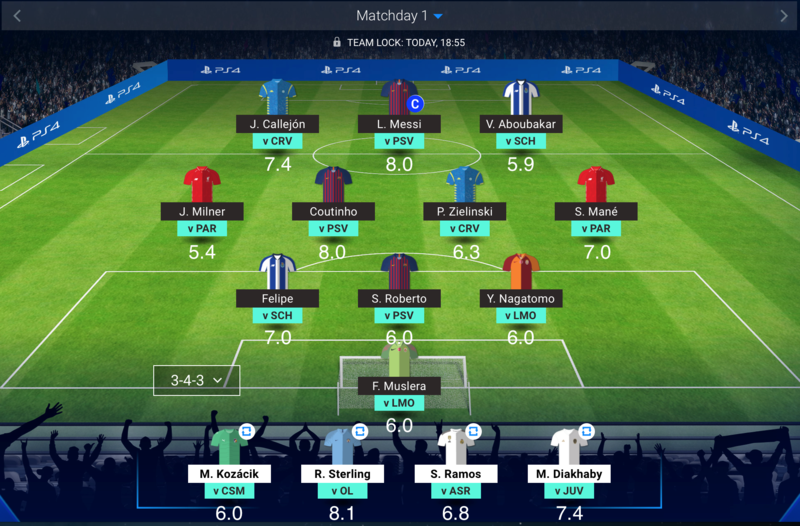 They know how to put themselves in the right place and more accurately predict the position of the ball that will appear, while avoiding the follow-up of the opponent. But effective long-distance passes are expected to see more often than the 2017 PES version. And when one is holding the ball, the other players will also be more active to defend themselves against opponents with strong stats. This is mostly done automatically, helping gamers to focus more on the away field instead of keeping an eye on the opponent moving at home. And obviously, this makes the game experience with the machine become more difficult when the passes, tactics may soon be “captured”. 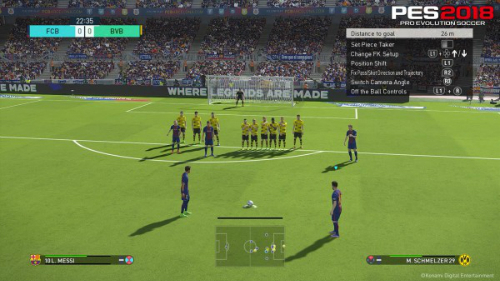 The developer also made a small change in the free kick system. Free corners and free kicks allow both sides to attack and defend freely to strategize before the shot is taken. Tacoma is a unique adventure game with an almost empty space station and at the future of 2088. The main character in Tacoma game is Amy – who owns the AR augmented reality device that allows her to review every NPC’s actions and conversations – these AIs are part of the space exploration crew. Amy can save recordings, forward or backward at will. It is this interesting feature that will help players review how characters move in or out of a room, or even track characters passing through stations. This detail is the key to finding clues to help you expand the story in the game, such as finding the key to the closed door. In Tacoma game for Windows 10, the Venturis Corporation wants to get their AI back, which is why you appeared in this unique adventure! When embarking on a new mission, you will discover details about the crew, revealing secrets in the story you will experience and dealing with the disease that is about to spread in the universe. Where can you adventure and understand the world of Tacoma in detail? Tacoma has no fiery battles, no puzzle scenes … but merely a fantasy adventure with new things. The beauty of this game is that you can explore the open world in your own way without being bound by any rules! Deeply interactive world: exploring Tacoma space station in physical and digital form. Open doors and drawers to find objects, notes, objects and discover thoughts and connections between members. Advanced machinery system will help you discover stories in many dimensions and aspects, especially very detailed. This is a fantasy-rich Gameplay: explore the vast and diverse universe as people begin to approach more space. Not only do you discover what happens to them, but you must also identify who they are as an interactive investigator. The game is voiced to interpret content and cage hate extremely realistic augmented reality images. 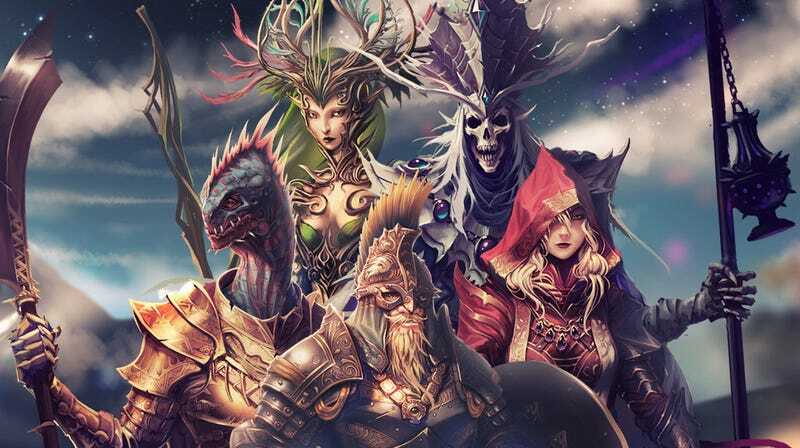 If you’ve played Original Sin game and know the level of freedom and creativity that the game offers, you will certainly be pleased to know that Original Sin 2 remains the same creation and expanded. it comes to a larger scale. However, before going into the core, the writer would like to list new things of the previous game. The first is the Tag and Origin system, when you initialize the character, select the race and some Talent of the character you want, the game will automatically label based on your character information and them. will be used to grant new conversation options during play. This element is strengthened when it first appears in Original Sin 2 game as pre-written protagonists and possesses its own story line. You can still create your own character, then the game will only paste some common labels like “Female” or “Human” and the later labels you get are mostly taken from Talent, in addition to You will also miss the individual mission routes of the pre-written biographies. The next innovation of Original Sin 2 game may be a bit controversial, it is the game conversation system now designed in the “indirect” style, which is a dialogue from the characters of The game will now not be a specific sentence, but they are arranged in a narrative style. For example, instead of saying “I will search and erase you at all costs!” Now, the line will become “threatening that he will never escape”. The mechanism of a secret action is slightly simplified when now, players can see the enemy’s vision better when being marked “red”. The first area in the game is Fort Joy possessing a “Tension” bar that measures the level of stress and it will become more negative if the player acts beyond his limits. The new FIFA ONLINE 4 is open and these are things that will help gamers get the best experience. On the opening day of the 2018 World Cup, FIFA ONLINE 4 also officially launched the Gamers community around the world. With a lot of interesting situations and events, it has created a lively atmosphere in the online world. 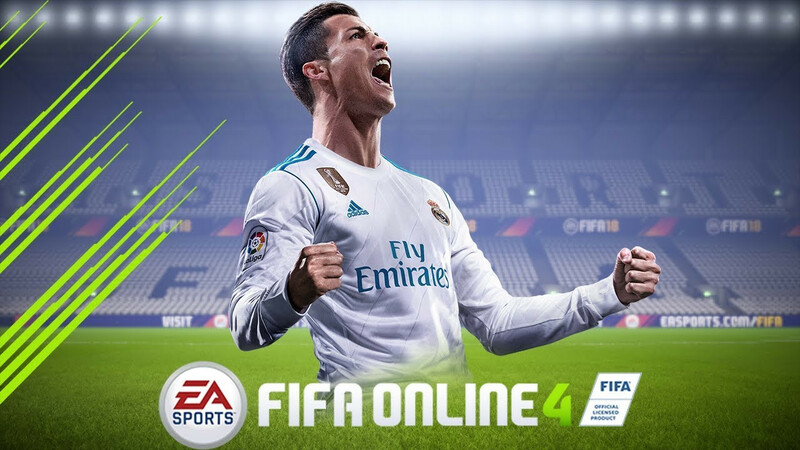 But to help more fully, we have a few points to know in the experience of launching FIFA ONLINE 4 in Vietnam. In order to ensure 100% gamers will not encounter any errors occur. Sincere advice for gamers is to delete “Close Beta” completely (This is the version we downloaded in April last). Usually, gamers will update directly from CloseBeta version to the new version, but if passed through this way, it will be easy for some errors not to enter the Game, or be disconnected between the match or the end of the game … and there are many errors other. So the best way we should remove File CloseBeta and “Down” for us is a new version. It won’t take a lot of time for gamers, but it also helps us to have a complete experience as we wish. According to the introduction from the previous posts, FIFA ONLINE 4 will have two types of defense divided into 2 different game modes. Automatic defense as shown below is the default type, and is similar to the FIFA ONLINE 3 kicking style. Unfortunately, players can only use it in battle mode. In the automatic defense, we also have 2 types of adjustments, 1 is us to “Default” (this is the same as FIFA ONLINE 3), 2 will be customized, in this form there are some shortcuts Change “D, S, Q”. Self-defense, we just need to note a few things like that, because kicking with the machine so it doesn’t matter the self-tuning part, we always leave default for ease. 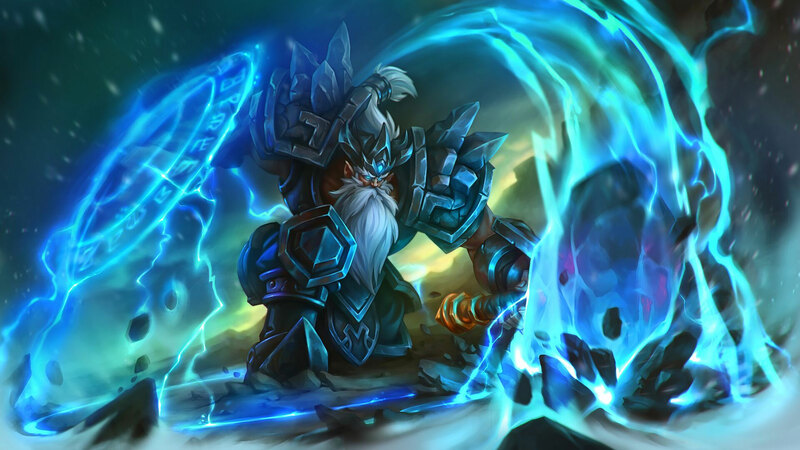 Pagan Online was developed with the ambition to bring new meaning to the “action” part of role-playing game. For the first time it was announced last month, Wargaming and Mad Head Games today unveiled the first official game trailer for Pagan Online. 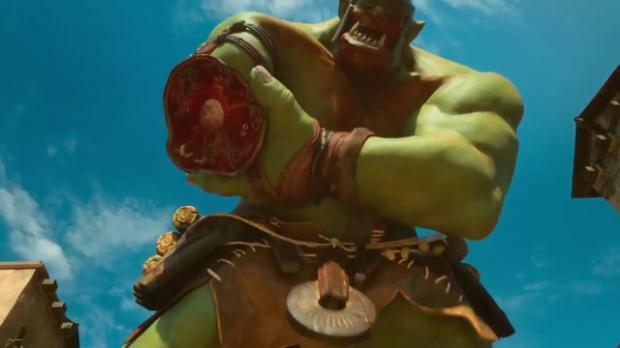 This is an action role-playing game that is slated for release on PC in the year. 2019. 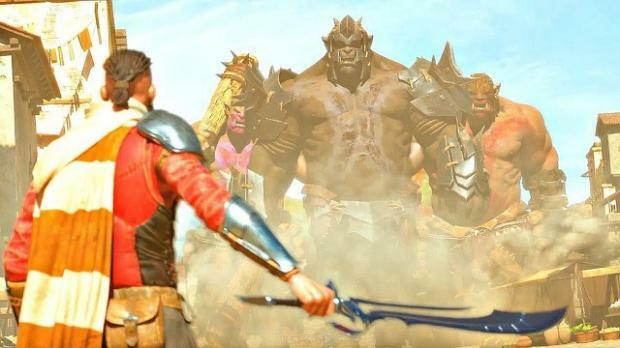 The trailer shows the powerful heroes battling against enemies based on pre-Christian mythology. In addition, it provides a glimpse into the powerful capabilities of the first three characters and the enormous booty. Pagan Online will launch PC players starting next year and sign up for pre-launch trials called Trials now available. The game is developed with the ambition to bring new meaning to the “action” part of the role-playing game. It will introduce powerful and exciting battle sequences, giving rewards for smart players and ingenious. The character development process encourages the development and development of a family of unique characters, rather than a character with many different constructs. The combination of equipment, skills and characters will bring synergy. It gives more than a meaningless total score and can be put to the test in challenging boss battles and other modes. Pagan Online is a combination of storytelling, arena and options that lead to different outcomes. It certainly creates a sense of a lively and ever-changing world. That’s where every day and every fight is different from what happened before. “The amount of booty in Pagan Online is huge – we want players to experiment and find the right combination of boosting skills and buffs to make their gameplay more effective,” Mr. Jacob Beucler said that. He is the product manager of Wargaming. This means you can try out different characters. You can join how you want to play and what they are good, different combinations until you find the most dangerous combination.